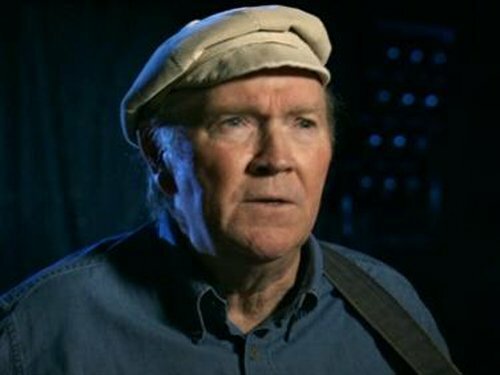 Legendary folk singer Liam Clancy has died aged 74. The actor, singer and musician was the last surviving member of The Clancy Brothers & Tommy Makem, who were credited with bringing Irish traditional music to a world audience in the 1960s. He died in hospital this afternoon, surrounded by his wife Kim and two of his children, daughters Siobhan and Fiona. Mr Clancy had been ill for some time and was admitted to Bon Secours Hospital in Cork in recent weeks. Born in Carrick on Suir, Liam Clancy was the youngest of 11 children. As a young man he dreamed of life on the stage, but there was music in his blood too. In his late teens he met and travelled Ireland with US song collector Diane Hamilton Guggenheim and eventually travelled to the US with her. Liam Clancy emigrated to America in the 1950s to join his brothers Tom and Paddy who were forging out an acting career in New York's theatre scene. Along with Armagh-born Tommy Makem, the four began putting on concerts in the bohemian hothouse of Greenwich Village - initially to raise rent money for a small theatre. 'We had no intention at that stage of pursuing a singing career,' Clancy said later, 'but the singing became more and more part of our lives'. With their trademark Aran jumpers - sent by Mrs Clancy to protect against the hard US winters - The Clancy Brothers and Tommy Makem began to play legendary venues such as the White Horse Tavern. They became international stars following a performance on the Ed Sullivan television show. This performance led to international tours, including appearances at New York's Carnegie Hall and the Royal Albert Hall in London. The band played a key role in the 60s folk revival - reworking traditional ballads for both an international and an Irish audience. Other emerging artists in the folk scene were drawn to the rowdy, rebellious, good-humoured and emotional performances of songs they had learned back in Ireland. When the Clancy Brothers later went their separate ways, Liam pursued a solo career in Canada before reuniting with Tommy Makem to form the hugely popular duo Makem and Clancy. The Clancy Brothers and Tommy Makem did play together again in the 1980s, and in later years Liam - by now living in Co Waterford - maintained a successful solo career. Irish filmmaker Alan Gilsenan who recently produced The Yellow Bittern, a biopic on the folk singer, said the Clancy Brothers and Tommy Makem were Ireland's first pop stars. 'Liam Clancy and his brothers and Tommy reclaimed a huge number of folk songs for Ireland and reinterpreted them in terms of their experience in America which is where they made their name, outselling the Beatles at one point,' he said. The man that Bob Dylan called 'the best ballad singer I've ever heard' died in hospital in Cork early this afternoon. He is survived by his wife Kim and four children.